Liverpool can reportedly seal the transfer of defender James Tarkowski if they pay Burnley a fee of £50million this January. The Reds have something of an injury crisis in defence at the moment, with Dejan Lovren and Joe Gomez both out. With Jurgen Klopp’s side four points clear at the top of the Premier League table, one imagines they don’t want to take too many chances in what may well be their best shot yet at winning their first league title since 1990. With that in mind, Liverpool are being linked with an interest in taking Tarkowski on loan, though his club only want to sanction a permanent transfer and are asking for a big fee of £50m, according to the Sun. It remains to be seen how this one will pan out, but LFC would probably do well to just pay whatever Burnley want. 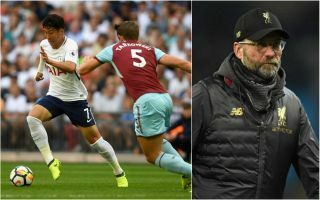 Tarkowski is a fine player, showing himself to be a solid and reliable performer at Premier League level – arguably far better than Lovren anyway. The Croatia international was not at his best in the club’s recent 2-1 defeat to Manchester City, and if Gomez is out long-term, a signing at the back is surely essential for the Merseyside giants this month. Who's going to win the Premier League title this season?